In 1974 I bought a box of old books from a second-hand furniture store in Milton Keynes. When I got the box home and unpacked it there was a bundle of letters at the bottom. My wife and I looked through them and discovered that they were written at the time of the First World War and were from a soldier named Albert French writing home to his sister and his father who lived in Wolverton. 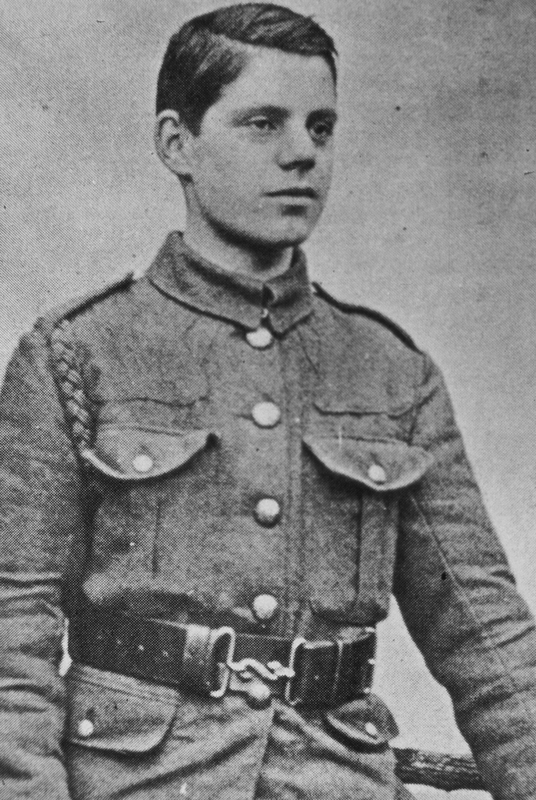 Also in that bundle was a letter from his sister May saying ‘you’ll soon be sweet 17 and never been kissed on the 22nd of this month’ – that was June 1916, and 2 letters, from Albert’s Commanding Officer and the Regimental Chaplain, saying that Albert had been killed on 16th June. He was only 16, two years under age. It’s no exaggeration to say that the discovery of those letters changed my life. They were published as a book and became a Radio 4 documentary – ‘He Shouldn’t Have Been There Should He?‘, but most significantly they led to me meeting Roy Nevitt, then Director of Drama at Stantonbury who had recently directed ‘All Change‘ the first local musical documentary play about the development of Wolverton as a railway town. I’d given his researcher the letters when they were deciding what aspect of Wolverton’s history to choose as the subject matter for the play. Later Roy came back to me and said he wanted to turn the letters into a play and ‘Your Loving Brother Albert‘ was the result. From that meeting and our subsequent collaboration on other local documentary plays we founded the Living Archive in 1984. Thanks to the wonders of modern technology, Albert’s story has been retold again – on a website.